Identify where to invest resources to maximize return by understanding the underlying factors influencing facility performance. There is rarely consensus among healthcare leadership teams on how a specific facility should be performing. Departments such as marketing, real estate, and operations all play a role in a facility’s success, which is further complicated by underlying trade area factors such as competition, demographic trends, and healthcare demand. With so many variables, how can you pinpoint which facilities are in a good trade area but failing to reach their potential and which facilities are in the wrong trade area and need to be relocated? Get a deep understanding of facility performance. Buxton’s Portfolio Audit Solution helps you to allocate resources more effectively by identifying facilities with strong potential and facilities that may no longer warrant additional investment. 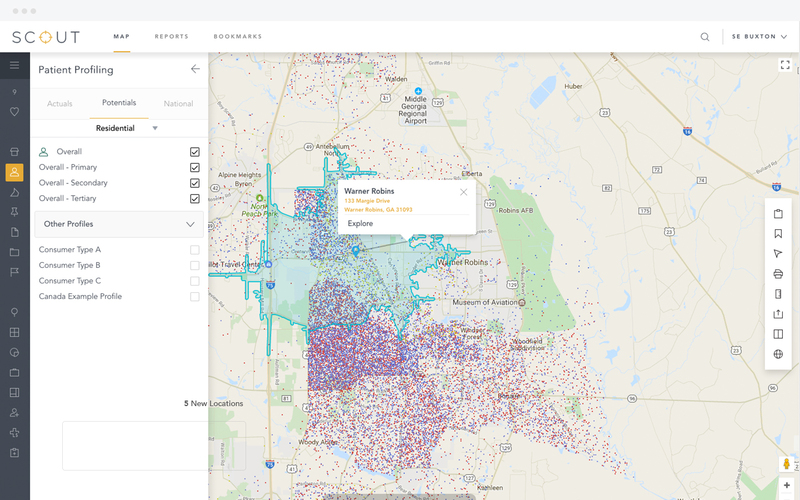 Our analytics give you insights into the underlying factors that drive facility performance so you can make intelligent location-level decisions and maximize the return on every facility. Each audit begins by developing a patient profile and custom site selection model to identify the factors that drive your organization’s performance. We use the model to score your existing facilities and segment your portfolio into four groups by comparing potential to actual performance. We also provide insights into the factors driving each group’s score, based on the variables included in the model, to guide your facility-level strategies. 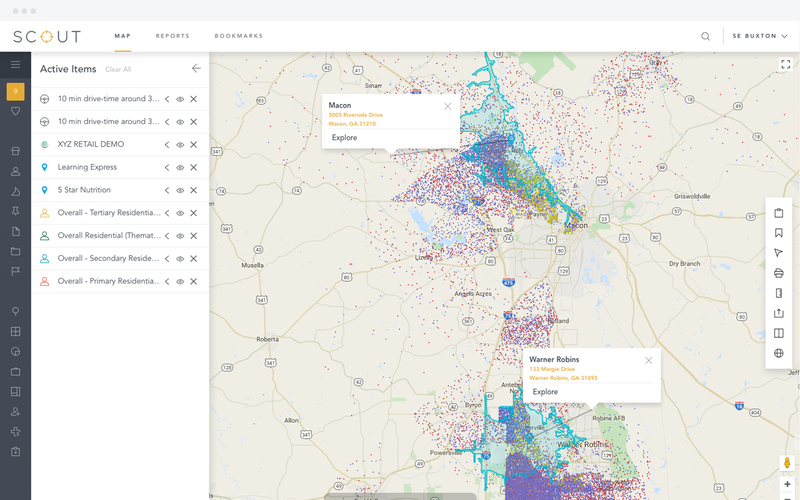 You can explore and analyze each facility’s trade area further using the model, patient profile, and other reporting tools in SCOUT, an application in the Buxton Analytics Platform. Get more out of your existing facilities with our specialty health facility assessment.